Formed by the merger in 2015 of the Rotary Clubs of Edenbridge and Westerham the new Club now meets every Tuesday at 7pm at The Pavilion courtesy of Edenbridge Rugby Club. In Westerham, Rotary is best known for its popular May Fair, which takes place on The Green every year. It also supports many other events in the town. The merged club will continue with the majority of events held by the two former clubs, including the Churchill commemorative Dinner held each year in Westerham and the Senior Citizens Strawberry Tea held every June in Edenbridge. 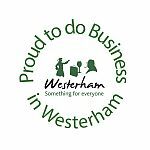 Other events will include the Westerham Fair on the Green, the Edenbridge Town Quiz and a variety of fundraising events for the benefit of local, national and international charities. Peter Stapleton on 01732 866288.